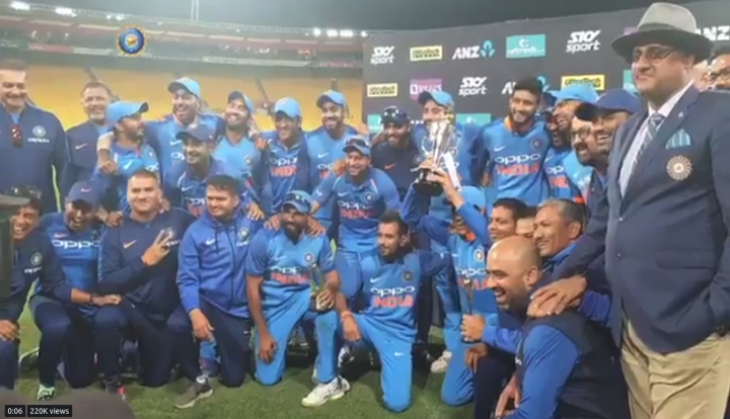 Team India celebrated their series win against New Zealand in a unique way. To mark the historic victory against the Kiwis, the men in blue chanted a popular dialogue from Bollywood movie, Uri: The Surgical Strike. The dialogue which has gained too much attention among politicians and others on social media has now been recreated by the Indian team.